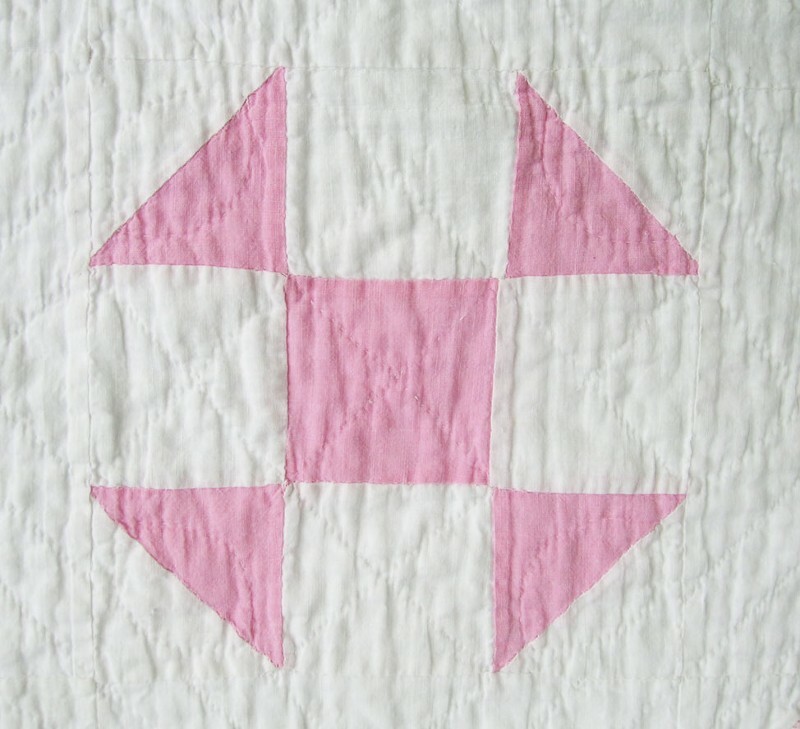 Welcome, prospective members of the Loudoun County Barn Quilt Trail! Like every barn, every quilt tells a story. 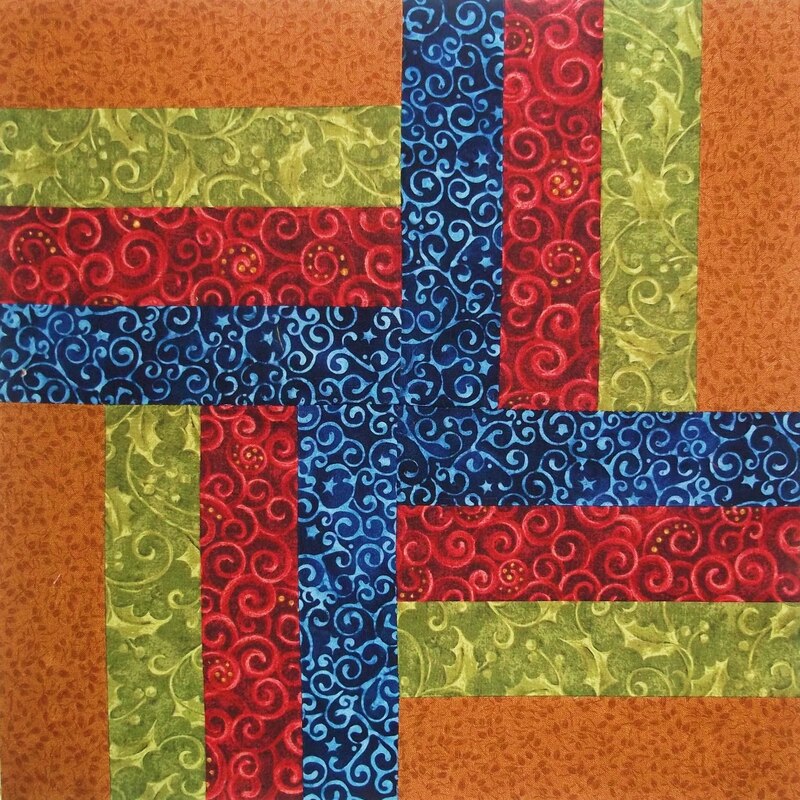 Here is the gallery of Loudoun quilt block designs you can choose from to create your own barn quilt. The design you choose will be recreated on a lightweight aluminum panel, clearcoated to weatherproof it, and mounted on your barn. 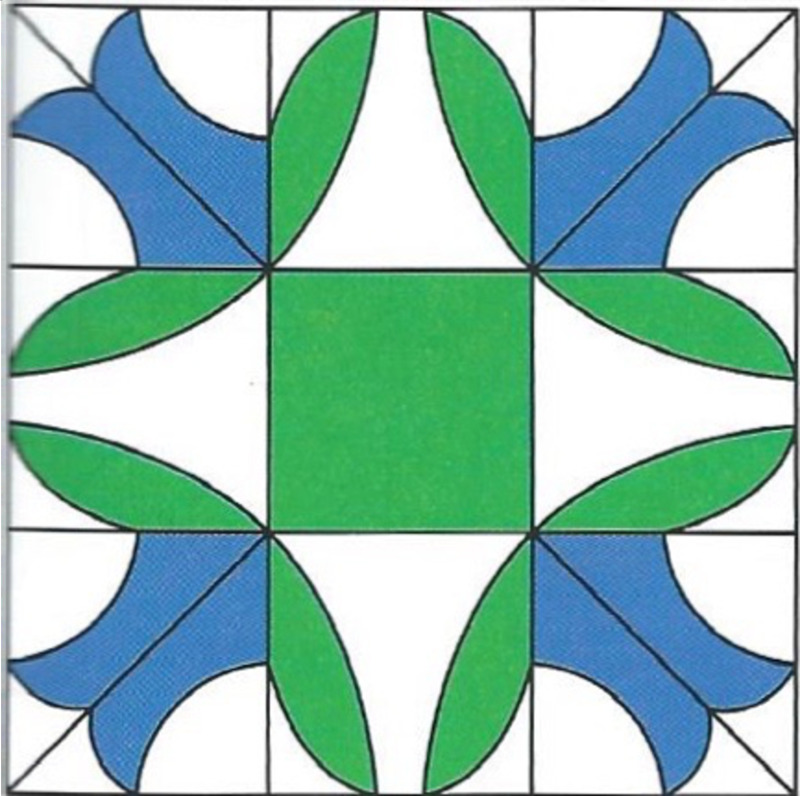 Each design can be created in colors and size that you choose, and simple designs can be put together into four- or nine- or sixteen-block panels. You decide what works best for your barn. Tell us about your barn. When was it built? What is its history? What happens there today? We want to hear about what makes your barn an important part of rural Loudoun. Ready to join the trail? Send us an email. 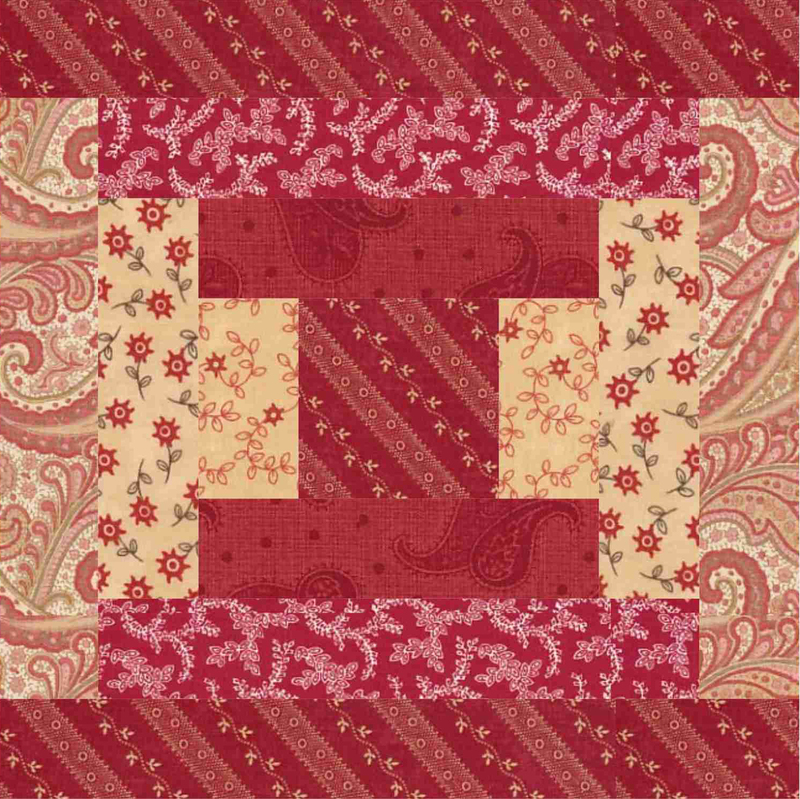 The Barn Raising pattern is based on the versatile Log Cabin block, popular since the mid-19th century. The pattern is created when the blocks are arranged to create rows of diamonds in alternating lights and darks. 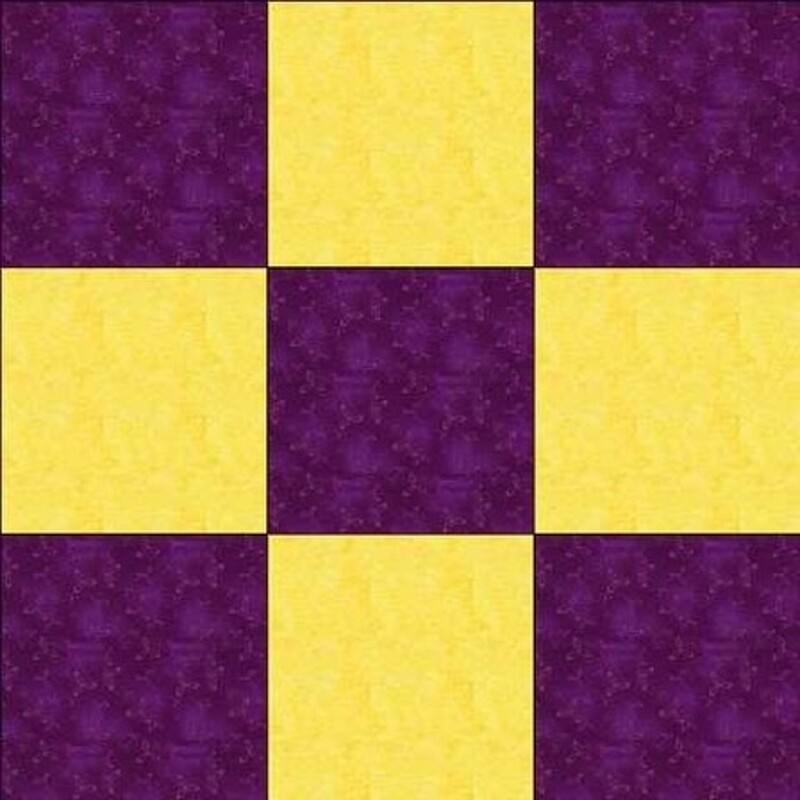 Basket Quilt Square The Basket pattern is can be arranged diagonally or vertically, with baskets next to each other in rows or separated by plain blocks. 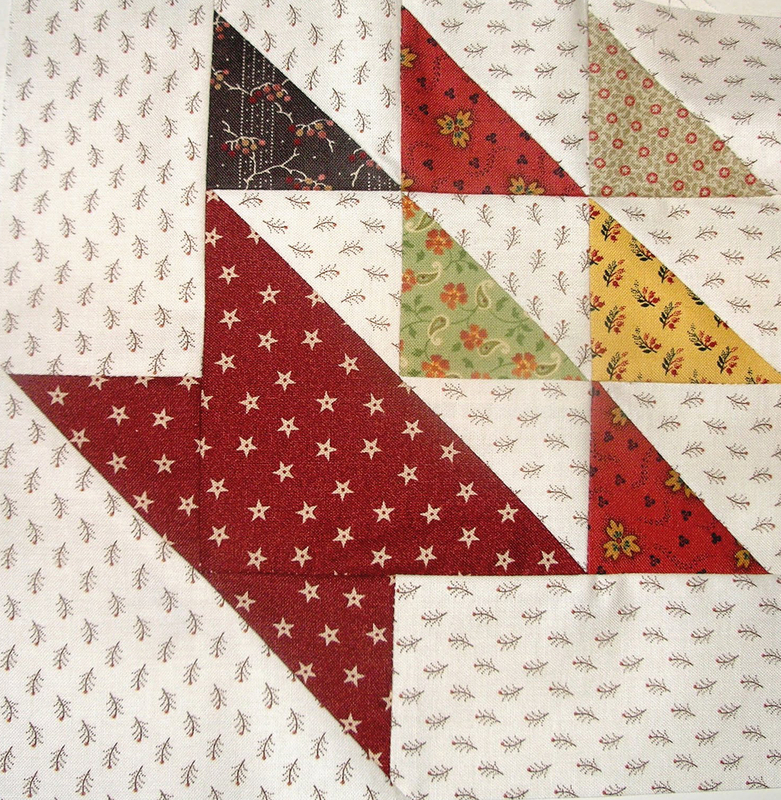 The bold Blazing Star pattern is a popular block throughout Appalachia. 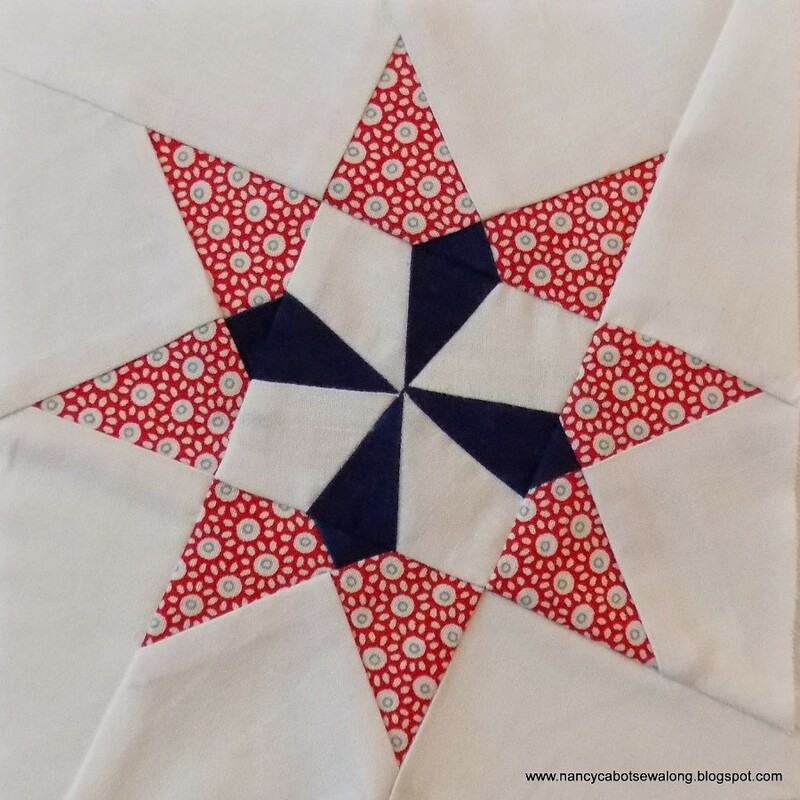 Blazing Star forms the core of the star blocks on this pieced quilt in the Loudoun Museum Collection, below. 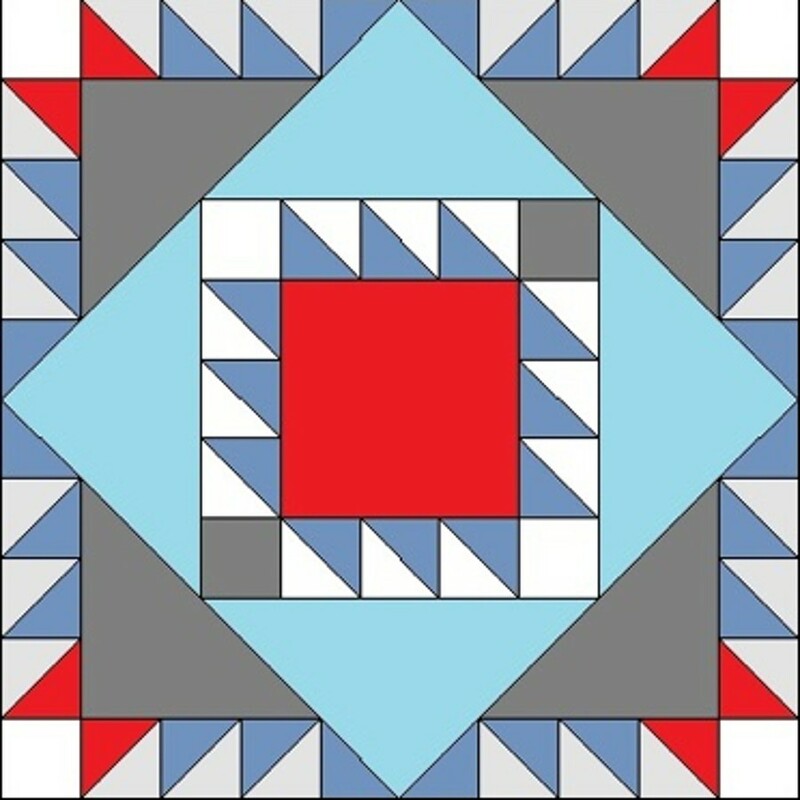 This example is unique because it features blocks on both sides of the quilt. Both hand and machine quilted, it dates from the early 19th century. Bluebells ​in blue and green make a lovely nine-patch variation. A Carolina Lily quilt squareThe Carolina Lily was a popular block in the mid 19th-century and well into the 20th. 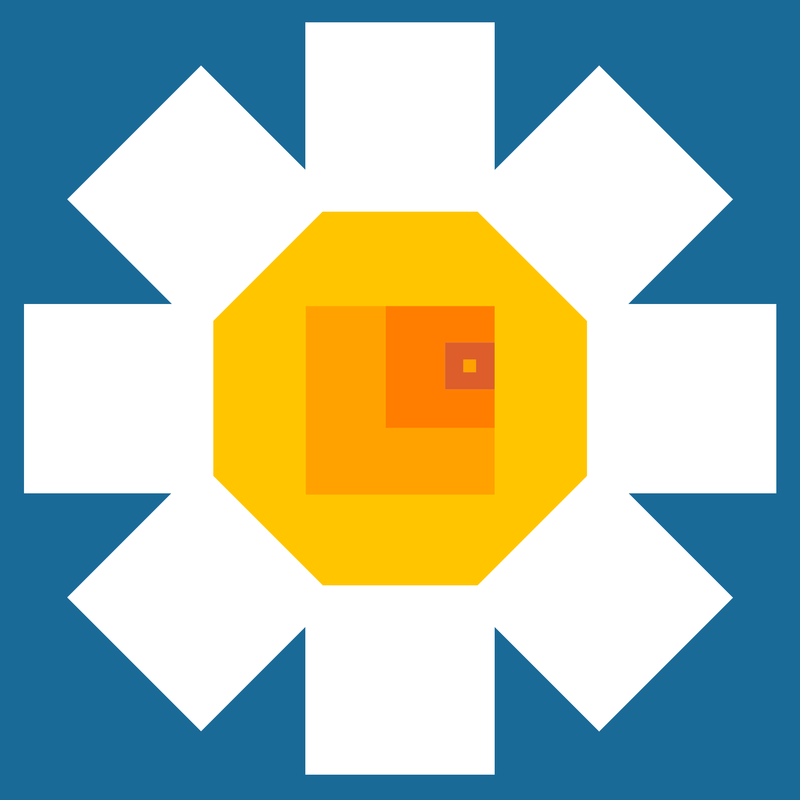 It usually depicts three geometric "lilies" on a central stem with leaves. 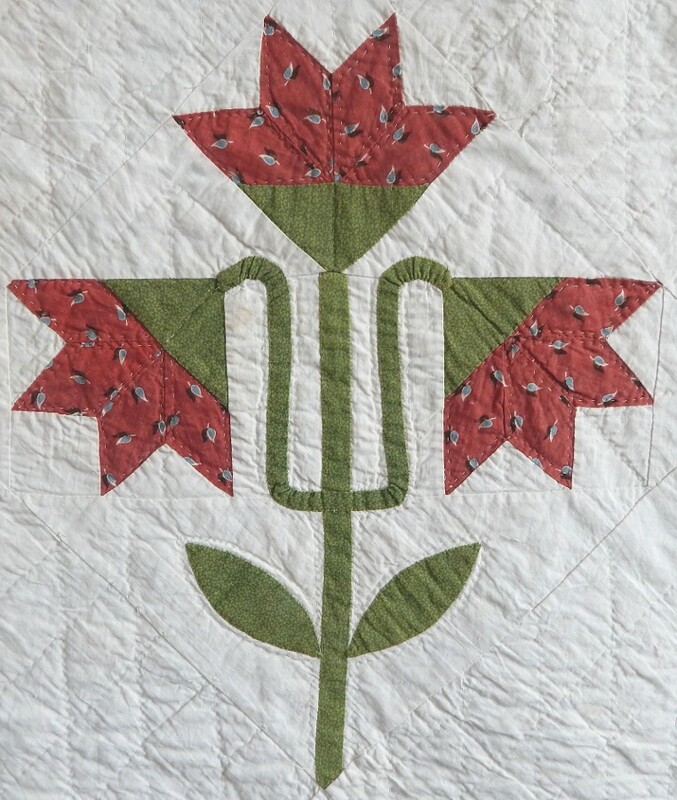 A Corn and Beans quilt square designThe Corn and Beans pattern reflects our county's agricultural society and the family's dependence upon the crops they harvested, the fruit and vegetables they grew, and the foods they preserved. 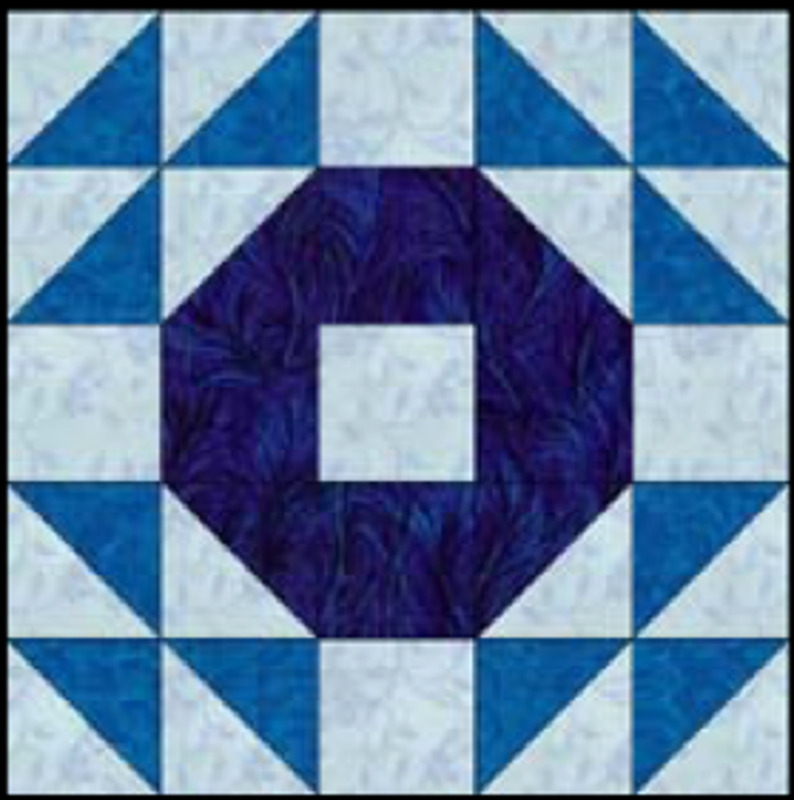 A Courthouse Steps Quilt Block Traditionally, the Courthouse Steps block pattern is pieced with all the dark fabrics on the top and bottom of the square, and all the light fabrics on the sides, or vice versa, creating the illusion of steps surrounding the center square. The bold Crossed Canoes designCrossed Canoes is one of the traditional designs that reads as strikingly modern today. The "canoes" create the optical illusion of curves from shapes made with a pattern of straight lines. 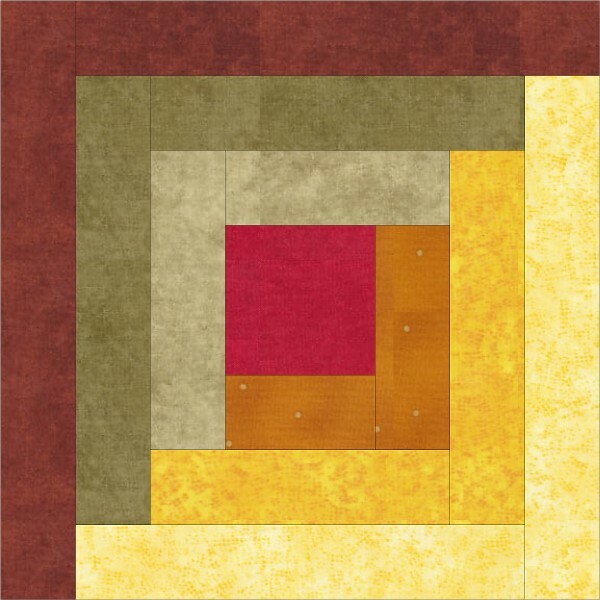 Goose in the Pond is a striking geometric quilt block that looks surprisingly modern today. 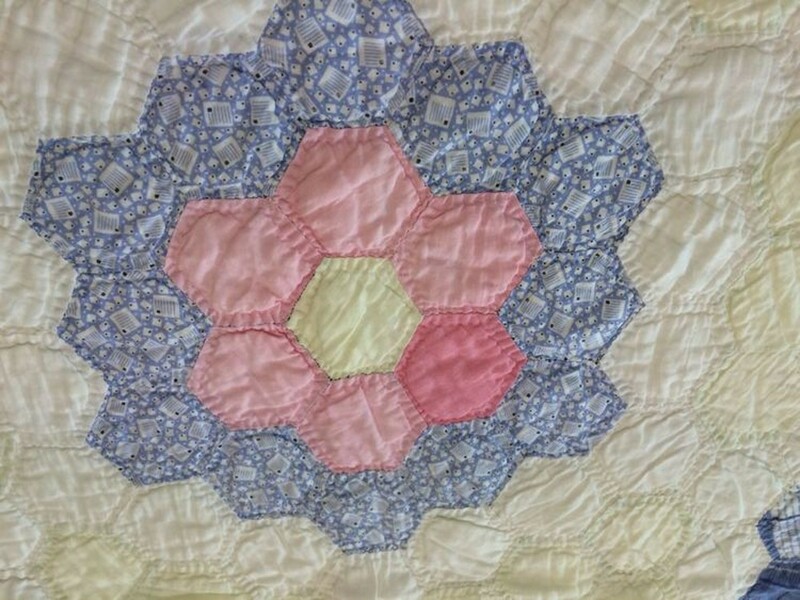 Vintage Grandmother's Flower Garden quilt squareThe Grandmother’s Flower Garden pattern is a brilliant example of how a single shape, the hexagon, can create a vibrant and dynamic design. 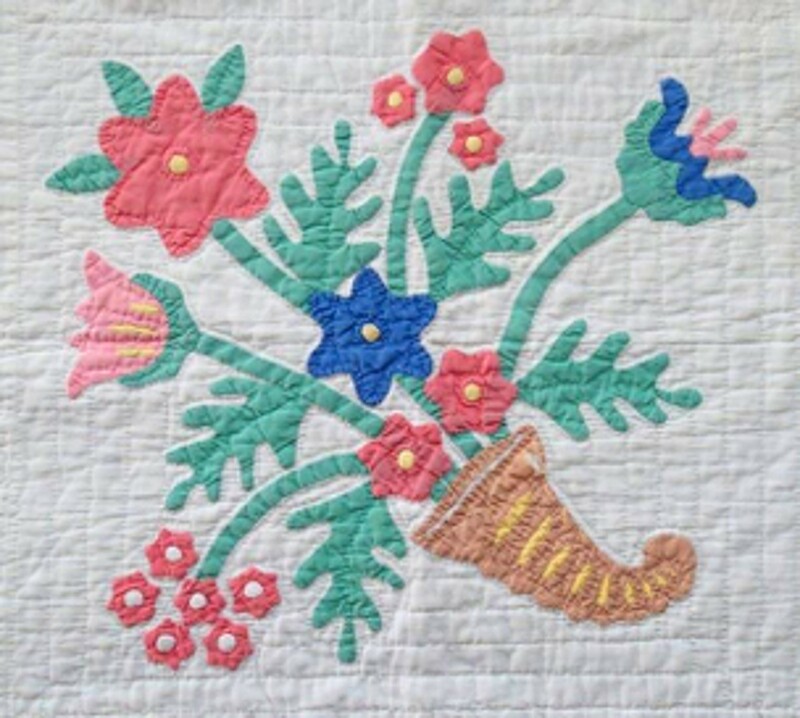 A Horn Of Plenty quilted appliqueThe Horn of Plenty design, a colorful and complex appliqued block, was especially popular in album quilts of the mid 19th century. 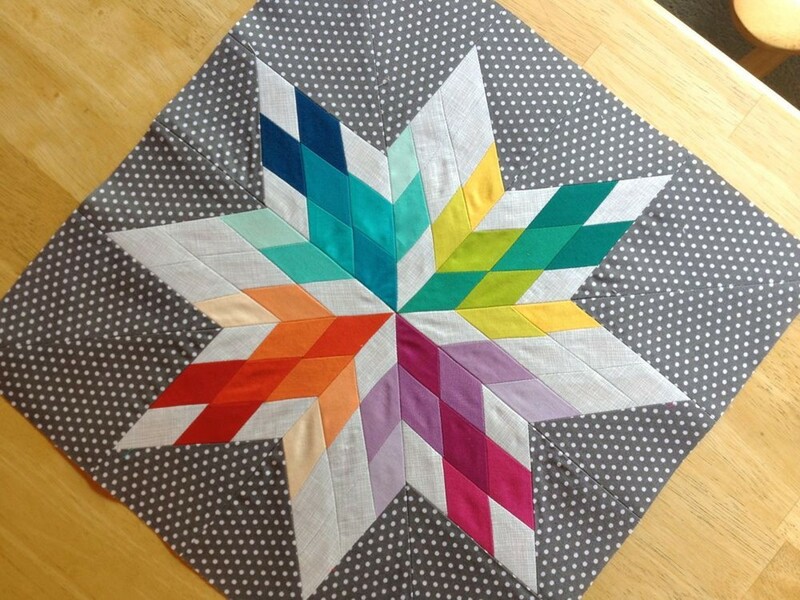 Hunter's Star Quilt Pattern The Hunter’s Star quilt block lends itself to infinite color combinations, placement of lights and darks and arrangement of blocks in the quilt. An Indian Trail blockA bold design capturing movement, the Indian Trail pattern was published in the Kansas City Star in 1931. 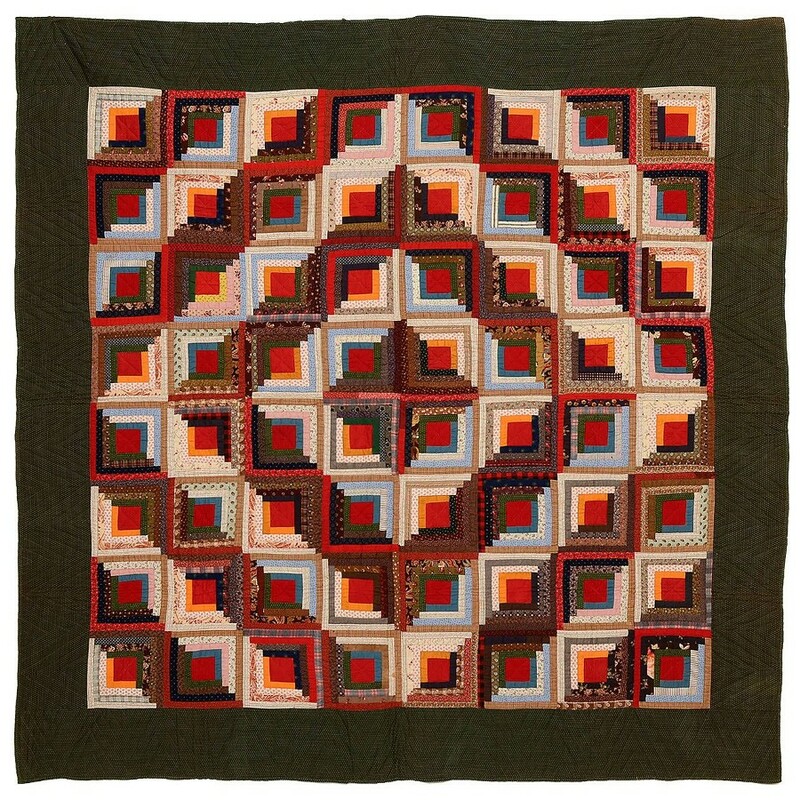 Log Cabin Quilt Square Pattern The Log Cabin quilt pattern first appeared in the 1860s and may have been linked to Abraham Lincoln’s ‘Log Cabin’ campaign theme. 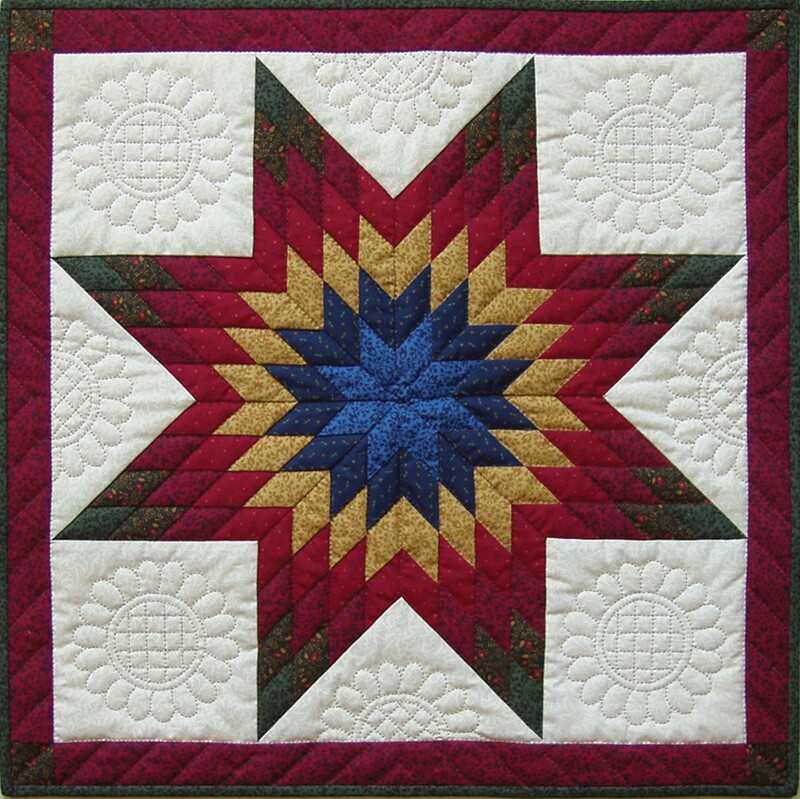 The intricately beautiful Lone Star quilt design. 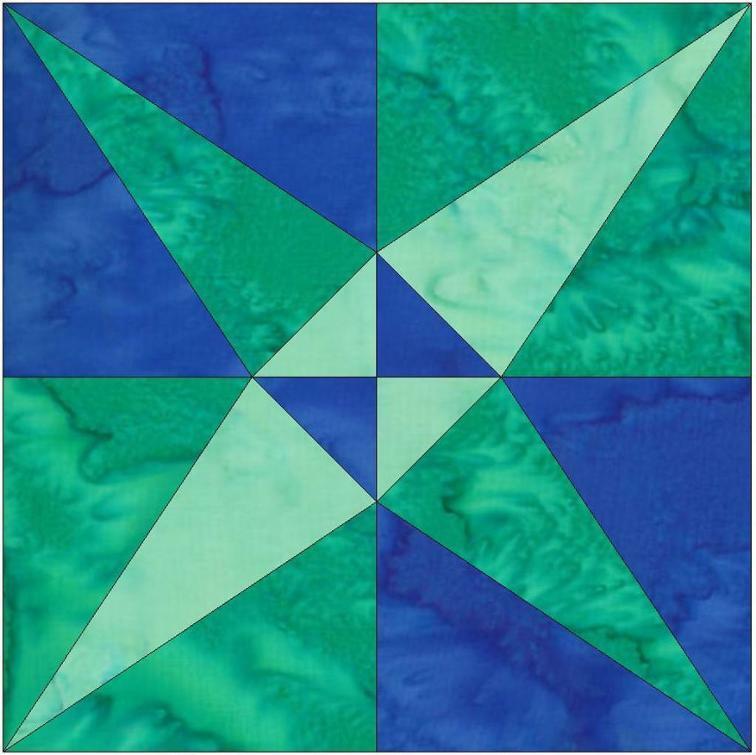 The Lone Star quilt block, also called Star of Bethlehem and various other names, features a large central star of diamond-shaped pieces of fabric forming the points of the star from the center out. 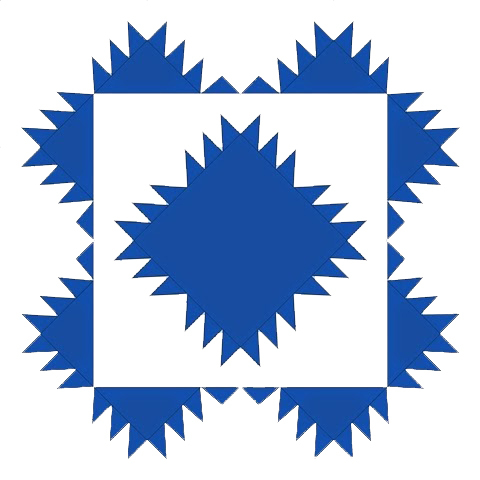 The Maple Leaf pattern can laid out in several ways; here the "leaves create a diamond shape in the center. 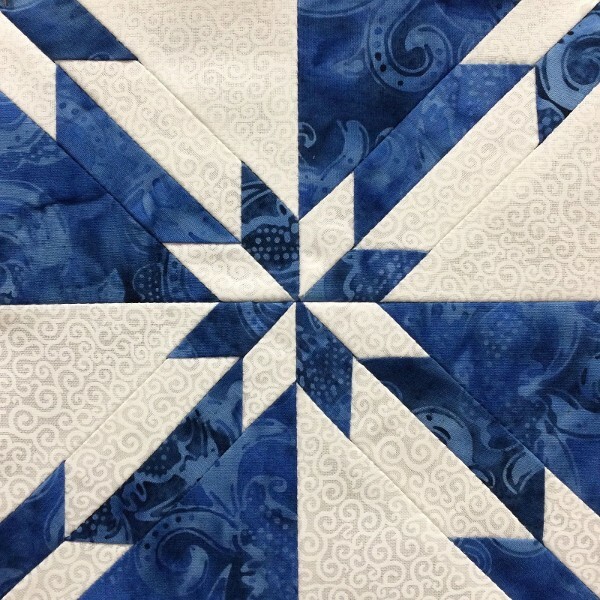 Mill Wheel ​is a classic five-patch quilt pattern with contrasting colors arranged to form a center circle with surrounding ‘paddles’, suggesting the rotating mill wheel. 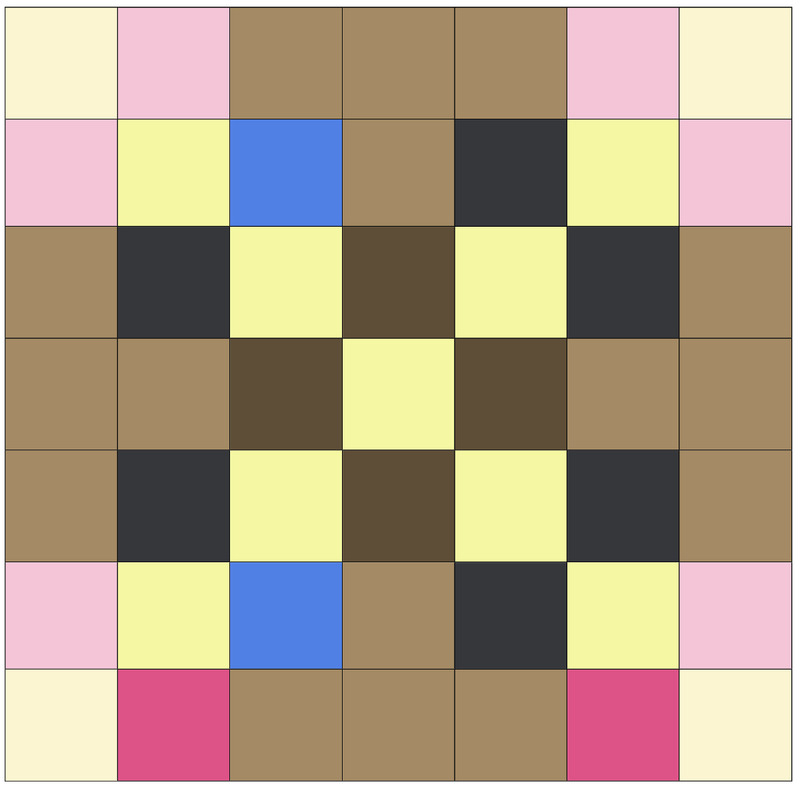 Nine Patch piecing is one of the earliest forms of patchwork. It involves joining nine squares of fabric to form a larger square. There are many variations on the Pine Tree design. Four Four-Rail Fence Blocks The Rail Fence block design often calls for three rails, but more can be used as long as the result is a square block.There are many other creative ways to put together and arrange the Rail Fence blocks. 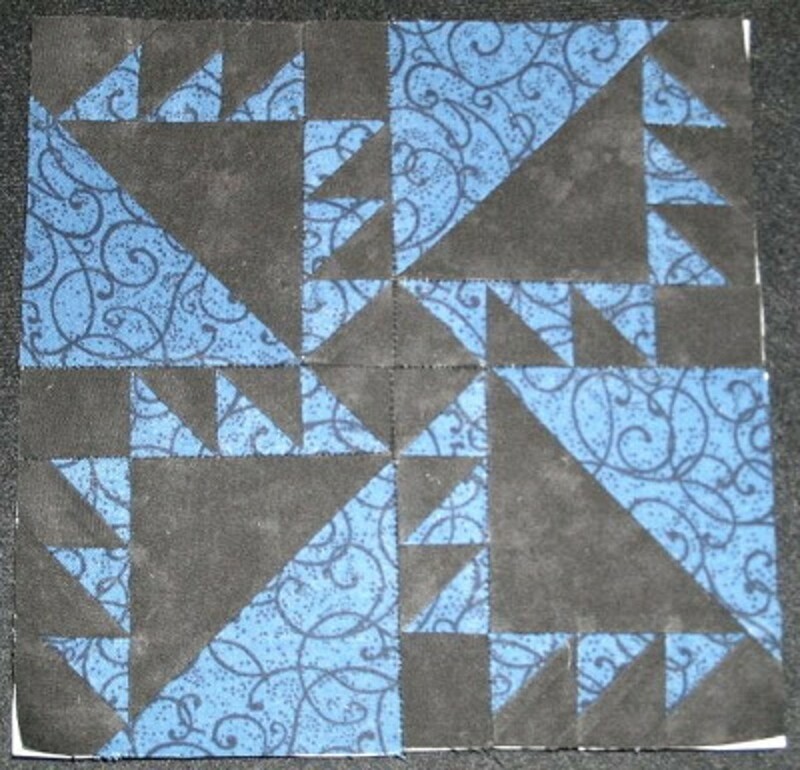 A Rob Peter to Pay Paul quilt squareRob Peter to Pay Paul, meaning to take from one thing to give to another thing, is an apt term for this quilt pattern, where leftover pieces cut to form one block are used to form a second negative version of the block. 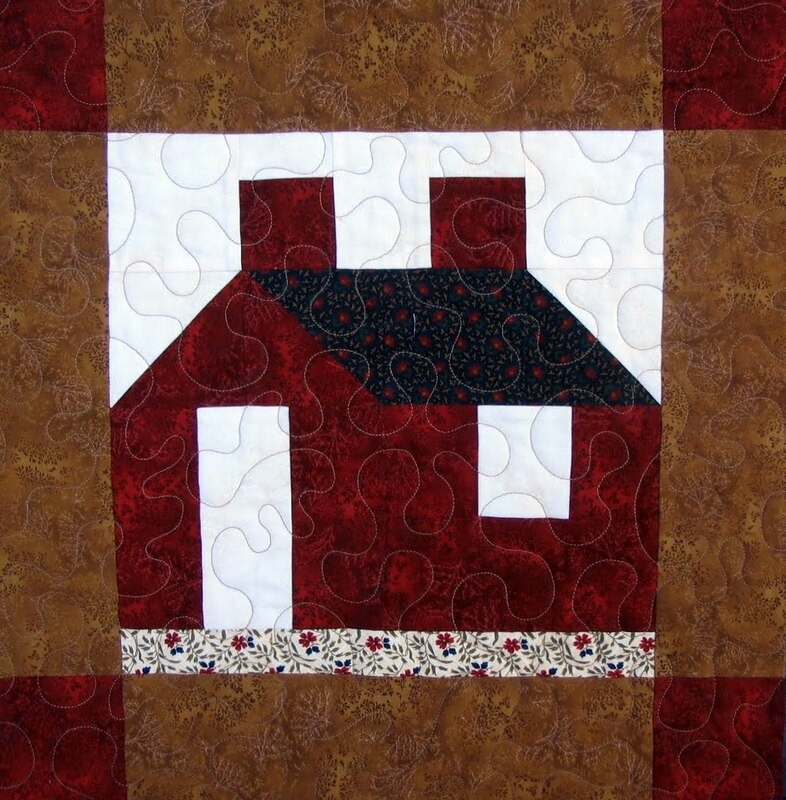 It typically took an experienced quilter to accurately work with the curved seams of this block. 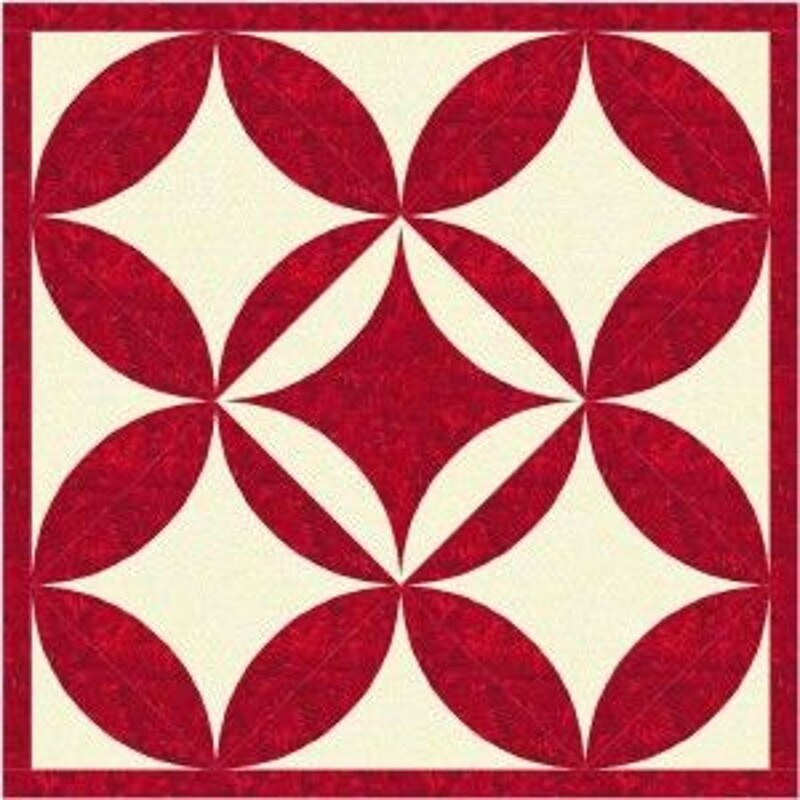 Schoolhouse Quilt Block The pictorial Schoolhouse block, usually made with bold shades of red, is a traditional favorite. 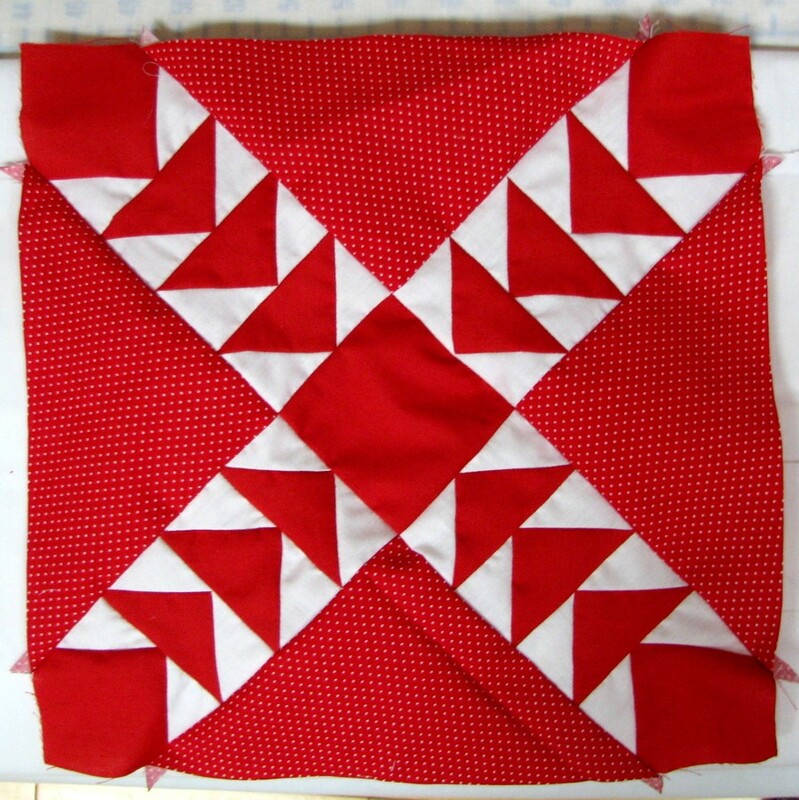 It can be used as a single block or four blocks can be joined together by sashing. A Shoo Fly Quilt Block The Shoo Fly design is named after a wild plant called clover broom or shoo-fly. This block originated around 1850 and became popular in the late 1800s. Reflecting farm life, an alternate name for the pattern is Hole in the Barn Door. 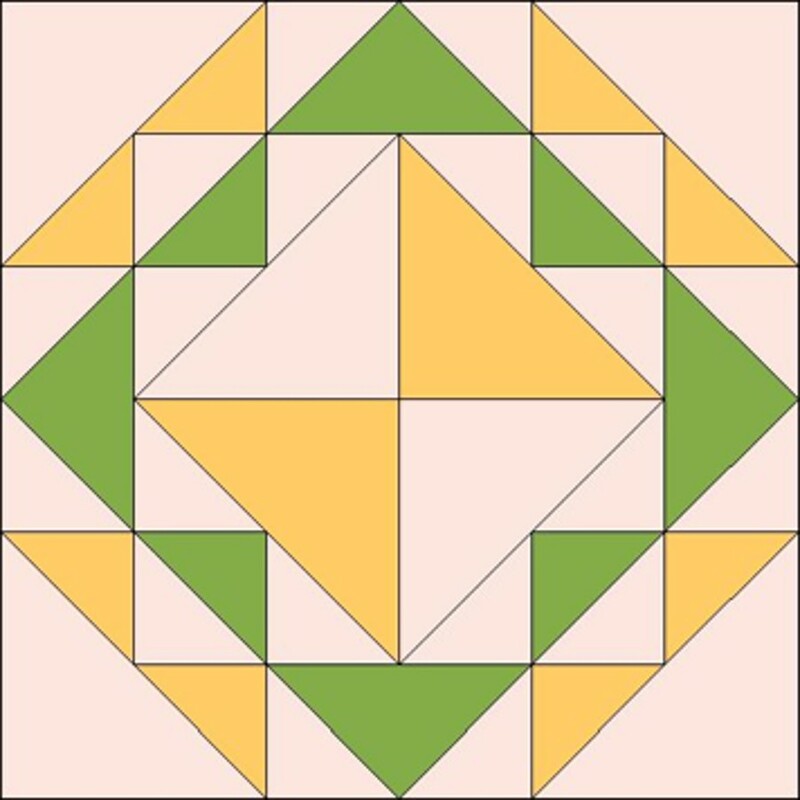 Its arrangement of triangles and rectangles around a center square resembles a hole through which flies could enter the home. Solomon's Temple squareThe Solomon’s Temple pattern was printed in the Kansas City Star newspaper on November 25, 1936. 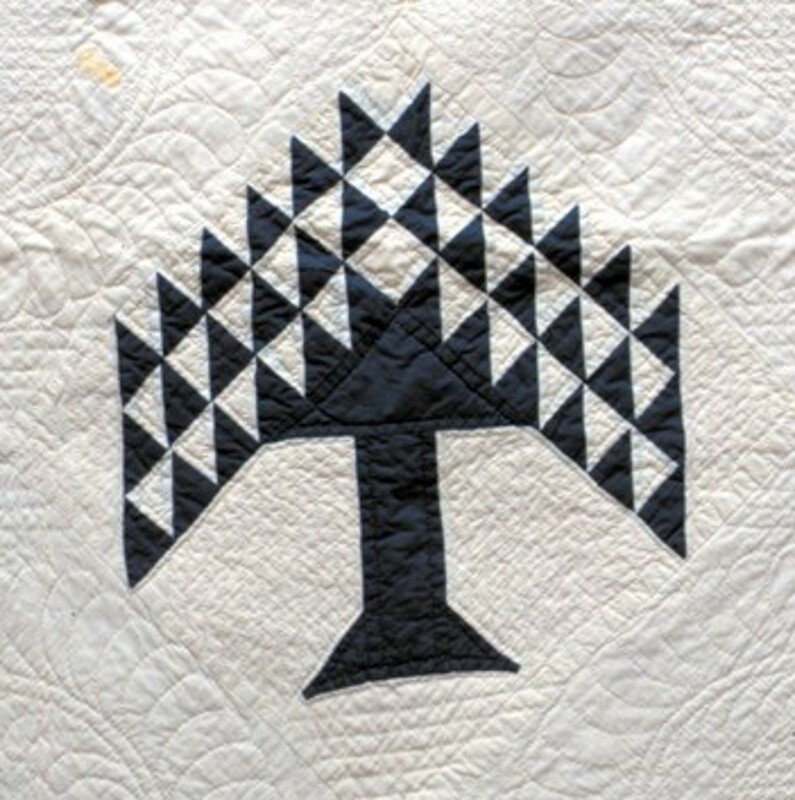 A large pieced quilt based on the Solomon's Temple pattern is in the collection of the Loudoun Museum. A simpler version of a strawberry design. Everybody loves strawberries. 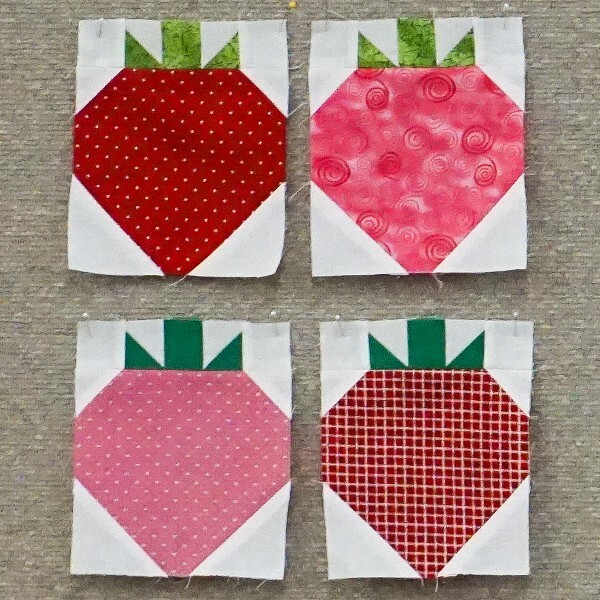 The original Strawberry block was published in the Post in 1931 by Ruby Short McKim and also in her book One Hundred and One Patchwork Patterns.Strawberries are an increasingly important crop for Loudoun County farms. 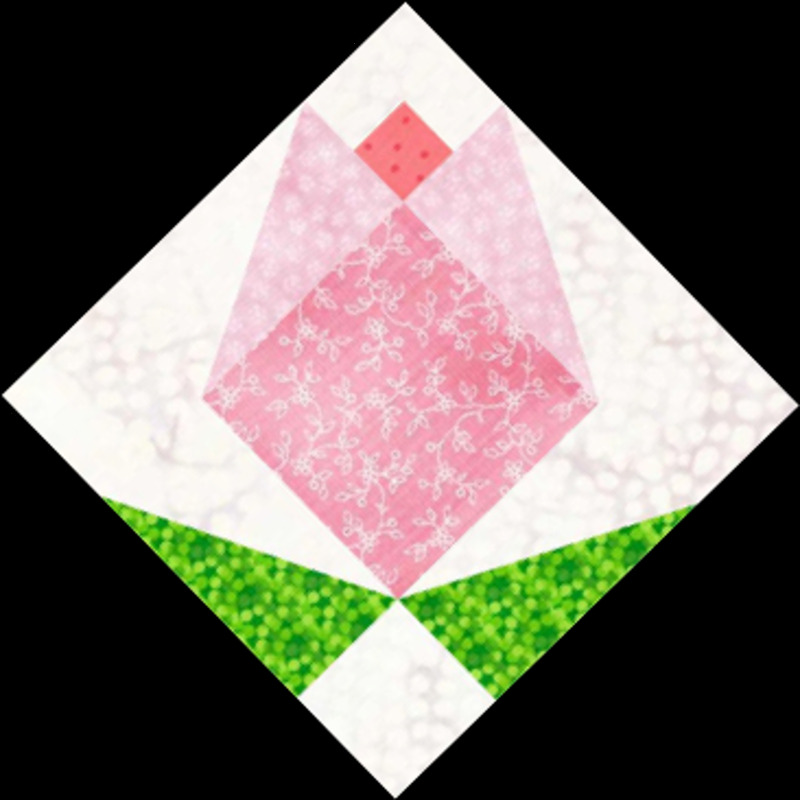 A rendering of one of the complex squares in the Dutton Quilt This quilt has a fascinating history. The background fabric was the wedding dress of Emma Schooley at her marriage to John B. Dutton in 1838. Mary Frances (Molly) Dutton, wore it in 1862 for her marriage to Franklin M. Steer at Fairfax Meeting House in Waterford. This quilt was a gift to the Waterford Foundation by Miss Phoebe Steer, Molly’s granddaughter. 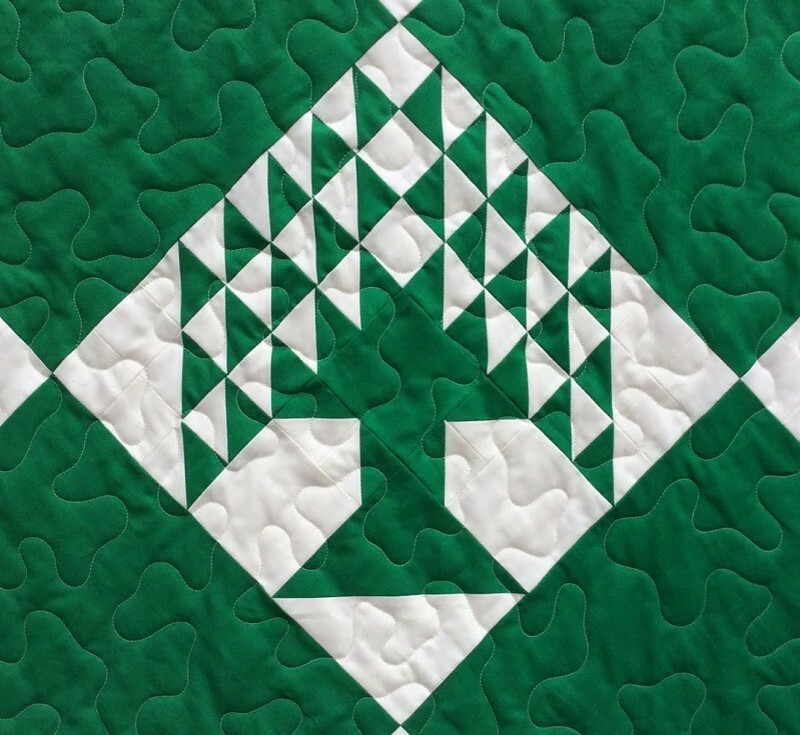 The pattern of this quilt is known as Double Irish Chain. 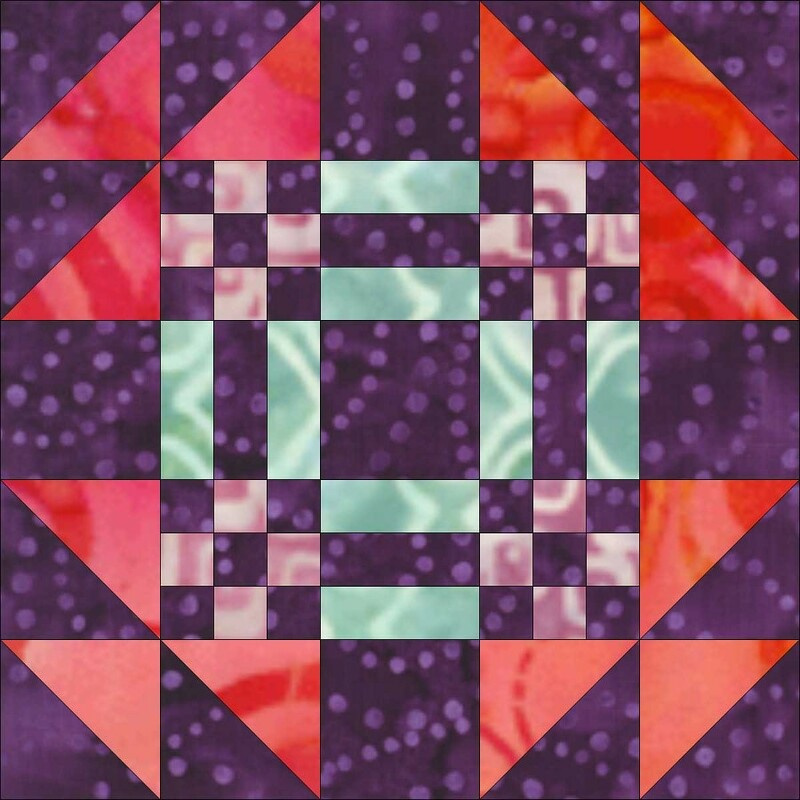 Tree of Life quilt pattern. Similar to the Pine Tree, Tree of Life is a complex pattern using multiple triangles. Placed vertically or often on the diagonal, the pattern is striking whether arranged as a single large central medallion, or repeated in rows of trees on the diagonal. 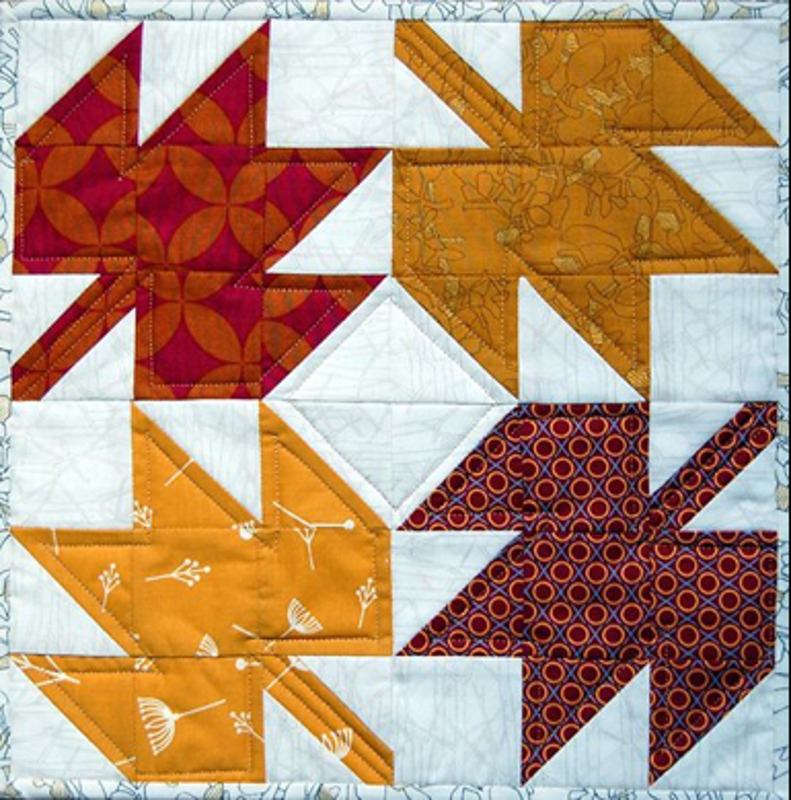 A Bold Wild Goose Chase squareIn the popular Wild Goose Chase pattern, the "geese" can be flying out from the center, or flying in toward the center. Contrasting fabric makes this a very graphic design.